life is now is a website focusing on effective pain self-management. Neil Pearson is a physical therapist, yoga therapist, and Clinical Assistant Professor at University of British Columbia. On the site are descriptions of his services, plus many many resources and links to assist people in pain. Be sure to watch the free webcasts and youtube clips linked from the bottom of the splash page, and search through information about pain science and pain management for people in pain, for yoga teachers and for health professionals. 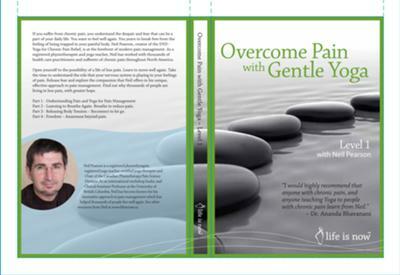 Audio CDs, a DVD, patient education books are available, as well as information on Neil's popular Overcome Pain with gentle Yoga retreats.